Dom Casmurro (1899) is considered Assis's masterpiece of literary Realism, in which he expertly employs the technique of The Unreliable Narrator. It is a fictional memoir of a jealous, vengeful husband with many references to William Shakespeare's plays, rich in themes of betrayal and deception, such as The Merry Wives of Windsor Assis's novel was published in Portuguese in 1899; we used Google translate to offer it, so please excuse some awkwardness in the text, as the English translation (1953) is not yet in the public domain. IV - A Most Loving Duty! XXXVIII - What a Scare, My God! XLIII - Are You Afraid? C - "You will be happy, Bentinho!" CXLVIII - Well, What About the Rest? 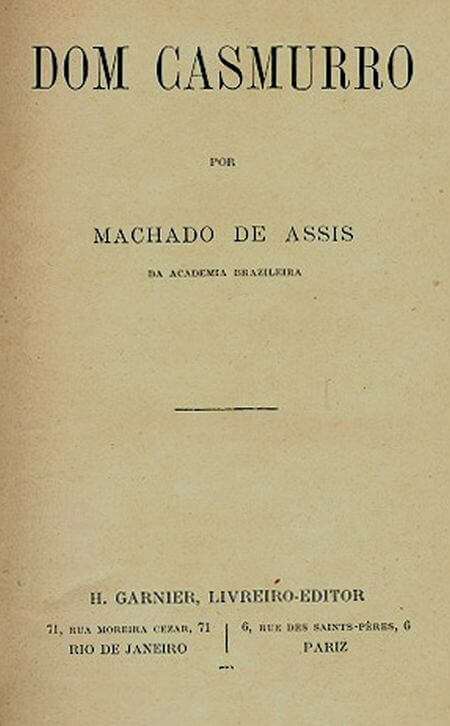 Return to the Machado de Assis library.